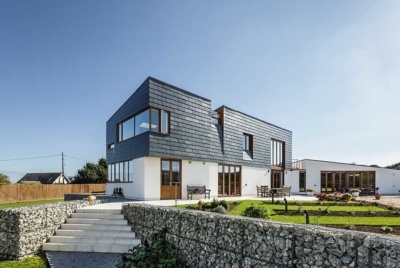 The choice of external cladding for your new home is going to be one of the single biggest influences on what it looks like. Brick is by far the most common option, with render, timber boarding and tile hanging as the other alternatives. Stone is usually required in the stone-belt areas such as the Cotswolds, and is usually considered the most expensive option. There are huge differences in the costs of bricks, with a medium-stock brick starting at around £350 per 1,000 bricks, running up to handmade bricks at circa £800/1,000. An average cost for a good brick would be around £450/1,000. The labour cost for bricks normally includes the mixing of the mortar, although not the supply of the necessary materials for that mortar. Labour costs do not normally vary with the choice of brick and therefore, any increase in cost occasioned by the choice of a more expensive brick is confined to the material cost. There are typically 60 bricks to the square metre. The cost of bricks may persuade some to switch to rendered blockwork. But in most cases it will be a false economy as the additional cost of a blockwork outer skin is significant. 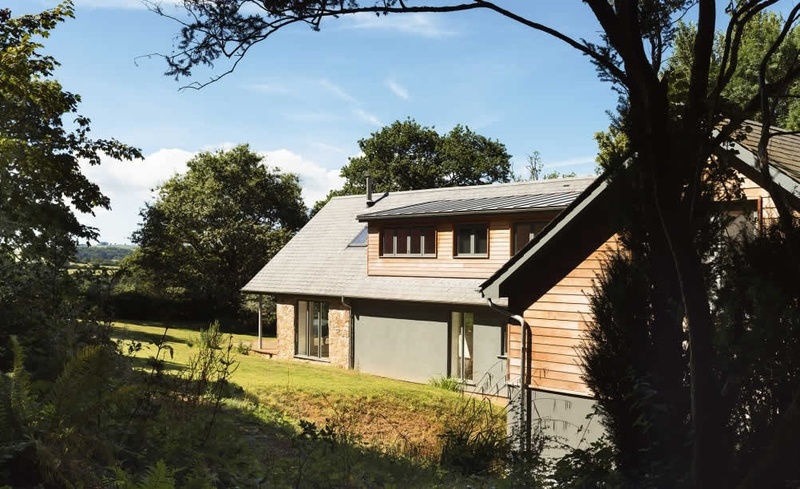 In exposed parts of the UK, a rendered finish is more common, simply because it is easier to make the wall weatherproof, either due to the natural properties of the render or by the addition of a waterproofing agent. 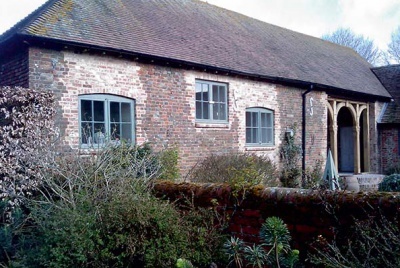 Pebble or stone dashing is common in many areas, either to assist in weatherproofing or by virtue of the fact that, over time, older properties with defective brickwork have employed it as a remedial measure to the point it has become the norm. The advantage of dashing or Tyrolean, where the stone/mortar mixture is applied by a machine, is that it does not require decoration. It is the decoration of a smooth rendered wall which adds to its cost and produces delays by the addition of an extra trade — as well as the resultant additional cost of the scaffolding having to stay up longer. There are 10 blocks per square metre. Tiles will typically be hung on an external blockwork skin which means that it shares much of the costs of a blockwork and rendered wall. This amounts to around £21.80/m2, as in the example above. The choice of a concrete plain hanging tile is going to add around £45, bringing the total up to £66.80 but, if a handmade clay tile was chosen then this could add £80/m2, bringing the total up to £101.80 — close on double the cost of a decent brickwork finish. Softwood featheredge boarding (labour and materials) is going to add £15.74/m2 to the cost of the blockwork. But it then has to be decorated, which will add another £12, bringing the total cost to £49.54/m2. Siberian larch and western red cedar are en vogue at present. They don’t need decoration and will naturally silver. At a labour and materials cost of around £27.89 (the labour is higher because of the need for ‘secret nailing’) this, added to the blockwork costs comes to £49.69/m2. 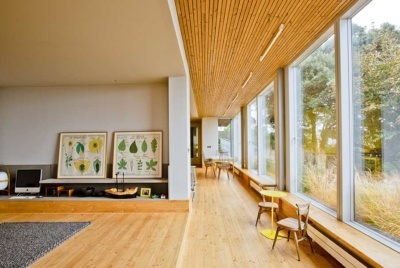 Modified timbers such as Accoya are likely to add at least another £30-£40/m2.